&Stitches: Issue 3 Oriental Inspiration is here! 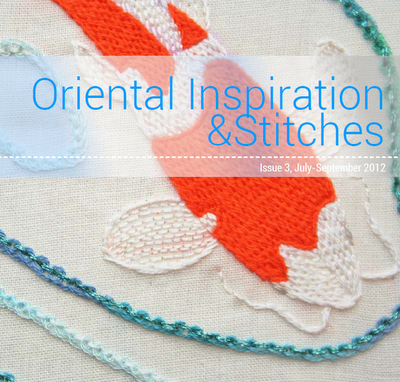 Issue 3 Oriental Inspiration is here! We probably will say this with every new issue of &Stitches but we are genuinely excited again to bring you our new issue called 'Oriental Inspiration'. The Far East offers a lot of beautiful and inspiring needlework techniques and we realize we could only scratch the surface of what is out there with this issue. Our featured designer of Issue 3 is Wendi Gratz. Wendi has designed a fabulous set of Koinobori patterns (Japanese Carp Flags) especially for &Stitches. 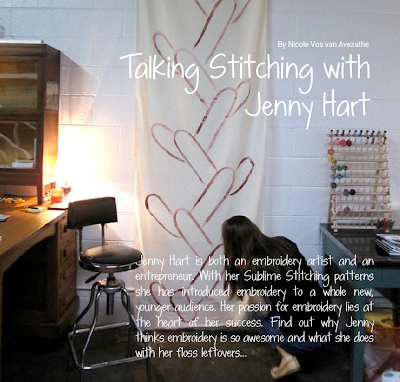 We talk to her about what inspires her work. Both Carina and I have contributed an Oriental flavored pattern: a so called Japanese 'Lucky cat' and a Cherry Blossom pattern. There are a couple of exciting 'firsts' in this issue: even-star Hancock contributed our very first cross stitch pattern. It's called Chinese Lanterns. And we have a new feature called 'Stitch Challenge' where three stitchers take up the challenge to master the Pekinese stitch and share their experiences with us. 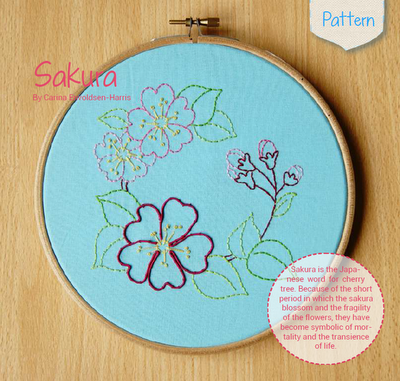 The beautiful embroidery on the cover, stitched by Sophie is one of the results of this challenge! 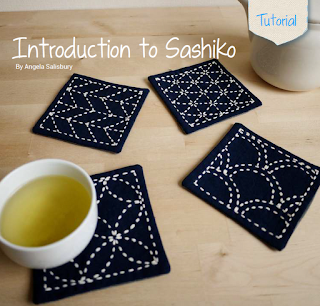 Angela Salisbury of Saké Puppets introduces us to Sashiko stitching, including an extensive tutorial and a Sashiko pattern. On top of all that we have some stitch tutorials, reviews and much more to read and enjoy in this issue of &Stitches! &Stitches is only available through the &Stitches website. Blog readers get a discount of 10% on Issue 3 through to July 5th 2012 with the code moshimoshi ! You will also be able to download a coupon (valid until July 15th 2012) to receive free shipping in Angela's Saké Puppets shop with lovely Craft and Sashiko kits. Just purchased and dowinloaded it! This was such a fun project, thanks again for asking me to join! I love all of these patterns, and can't wait to get started! Congrats on a great issue! !